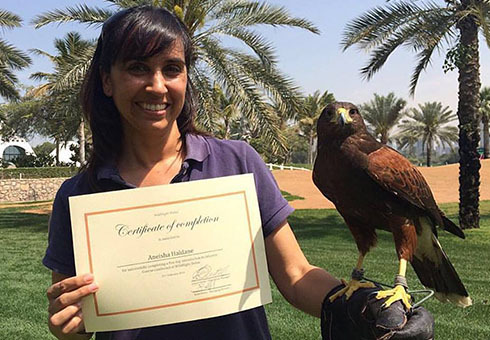 Wild Flight offers a unique, intensive, Arabian-style falconry course for those who wish to learn the art of falconry. The course includes a starter kit and a certificate on completion. All beginners will be accompanied by an expert falconer with several years experience in both Western and Arabian falconry techniques. The syllabus offers tutoring on equipment, husbandry, handling and basic training of birds of prey. The course comprises of four two-hour classes, followed by a theoretical examination. Student can attend over several days or even weeks to suit their personal schedule. Due to the intensive nature of the course, a maximum of 5 students are accepted at a time. حقوق الطبع والنشر 2017 © وايلد فلايت ليك. كل الحقوق محفوظة.